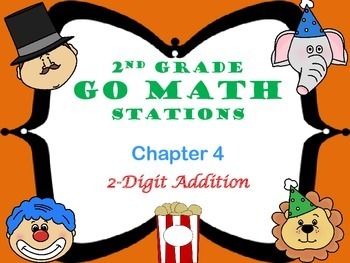 This file contains 4 math stations for the Harcourt Go Math 2nd grade curriculum. 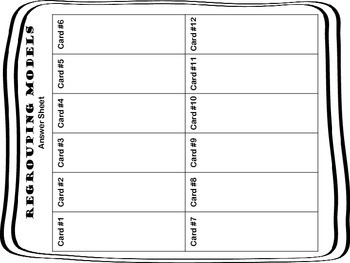 Most of these stations can be done individually or with a partner. Each station has a way to self-check. Some have recording sheets, while others have other ways to self-check. 1. 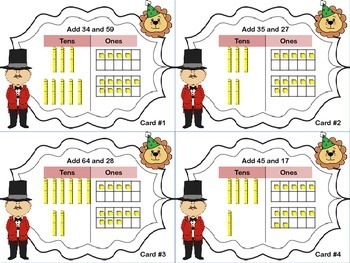 Regrouping Models: Students use a card to help make a regrouping model using base ten blocks. Then, they record their answers. 3. Addition Challenge: Students work with a partner to answer word problems and make tally marks on a scoring sheet. 4. 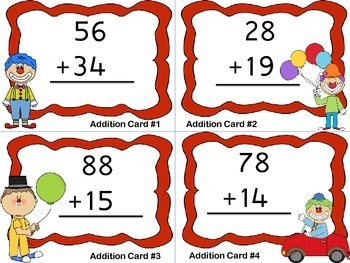 Circus Match: Students match addition sentences with addition sentences that use the compensation strategy.